Here are two recipes that I made last night. They were simple and easy, and made use of small numbers of carrots and large amounts of chard. And while I don’t have a recipe for it, I wanted to suggest that the small carrots and their tops work really well in fried rice dishes. The tops give green flash and texture, and fried rice just doesn’t need very many carrots. Melt butter in small skillet over medium-low heat. Throw in scrubbed carrots and saute for a couple of minutes. Season, add water, and cover. Add a little more water if it dries out before the carrots are tender enough to poke with a fork. The buttery sauce from the bottom of the skillet is good on the carrots and even better over meats. This would also be tasty with smaller amounts of nutmeg or cumin replacing the turmeric. In a big skillet or non-stick stock pot, saute the garlic and onion in the oil until starting to brown. Add the sunflower seeds and stir occasionally for a couple of minutes. Add the chard, water, and soy sauce (or a couple pinches of salt), stirring periodically as the chard wilts and the flavors combine. This will take less than ten minutes for the chard to be finished cooking. Greens — There will be a lot of them for the next month or more. Below is the recipe that I included in a recent Edible Wasatch article (page 47). “Any CSA member can be easily overwhelmed by the spring greens. Spinach, chard, a plethora of choys, lettuce, braising greens, arugula, overwintered kales. The bunches come fast and furious, and for many newcomers, they seem pretty foreign. They can all be handled the same way, with a bit of adjustment on cooking time based on how thick they are, and a simple approach is best to appreciate their fresh flavors. Braise ’em — Braising greens requires a quick saute in oil followed by a short simmer in a small volume of water, wine, or broth. Wash and shred the greens, toss them in a skillet with hot oil for a minute or two, then add 1/2-1 cup of liquid and reduce heat. Stir occasionally, covered or uncovered, until tender. Serve immediately. Blanch ’em — Drop the greens briefly (a minute for spinach, three for a sturdier bok choy) into boiling, salted water. Drain, rinse with cold water, and toss with a sauce. Vinegar comple- ments bitter greens. A ground up mix of sesame seeds, sesame oil, and soy sauce compliments spinach and chard. Toasted pine nuts and a splash of balsamic gives it a Mediterranean flare. Blast ’em — This is my go-to recipe for greens. Start browning a clove or three of garlic (sliced or crushed) and a minced shallot over medium heat in olive oil. Add chopped greens with a pinch of salt and pepper, turn up the heat and stir until al dente. Serve. Less than ten minutes, start to finish. And a little tip that didn’t make the article: stronger or bitter greens can easily be tamed with a bit of oil, salt, and/or acid. Kale, when rubbed liberally with oil and salt, makes a lovely raw salad (try with garlic, apples, avocado, and dates). 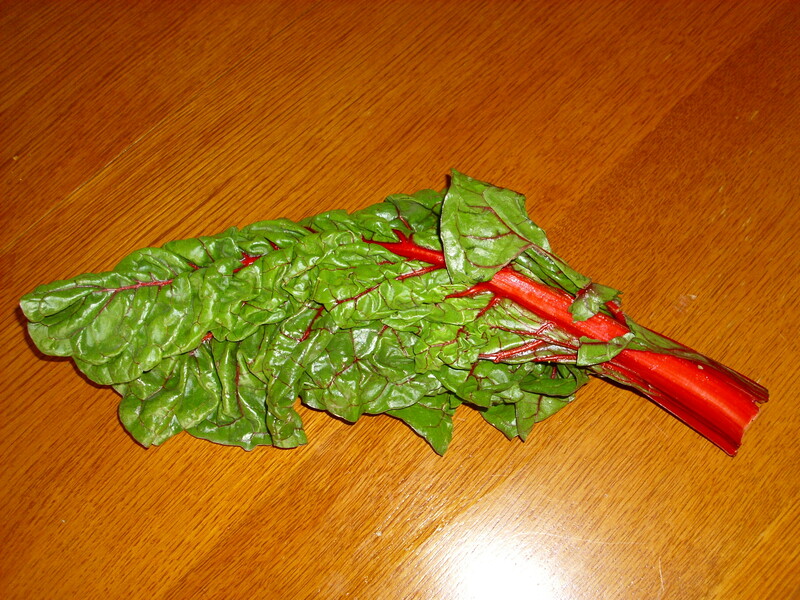 Collards and mustard greens benefit from a splash of vinegar, and even sweet chard improves with a squeeze of lemon. But if in doubt, make soup. I added a handful of chard, sliced into ribbons, to a chunky sweet potato soup last night (stems for about five minutes, leaves for the last minute).